I usually read nytimes.com from my iPhone. Today though, I was reading an article on a real-life computer, and as I scrolled to the end of the article, a cute little widget slid out from flush-right of my browser, offering a link to the next article in the ‘World’ section. 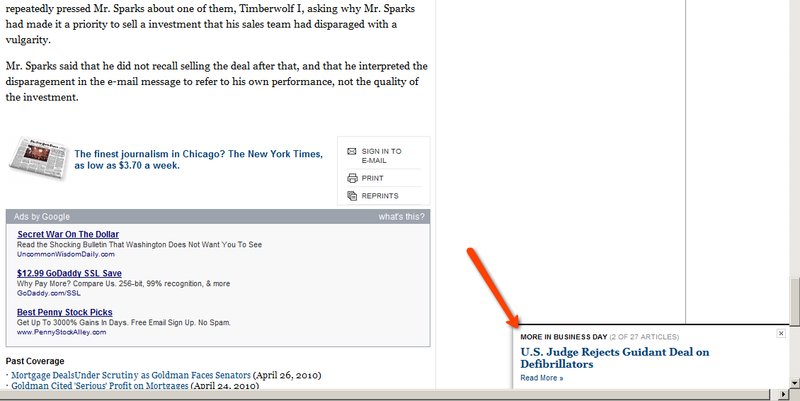 It’d be interesting to know how much time this saves NYTimes.com’s audience each day.